URL Rewrite is IIS module that enables Web administrators to create rules to modify URLs on the fly, transparently. This modified URL may be more convenient and easier for users to remember. 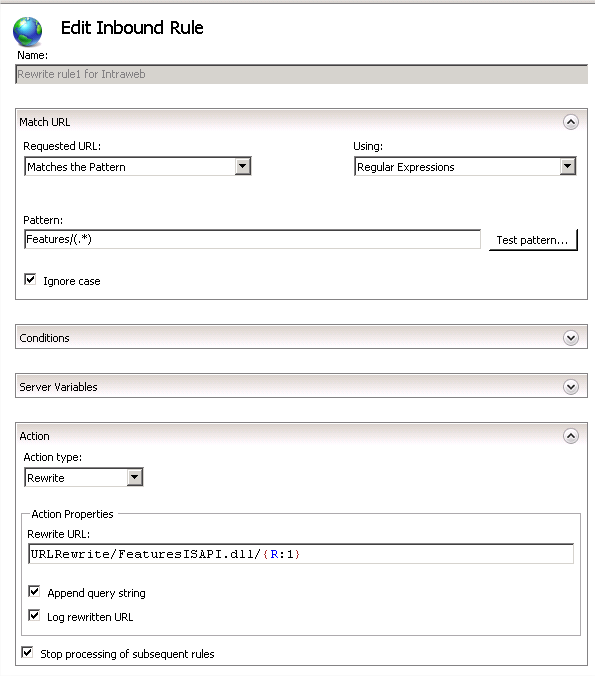 You can use URL Rewrite to change the URL used in your IntraWeb ISAPI application. Follow the link on item 2.2, download and execute the URL Rewrite 2.0 Module installer. 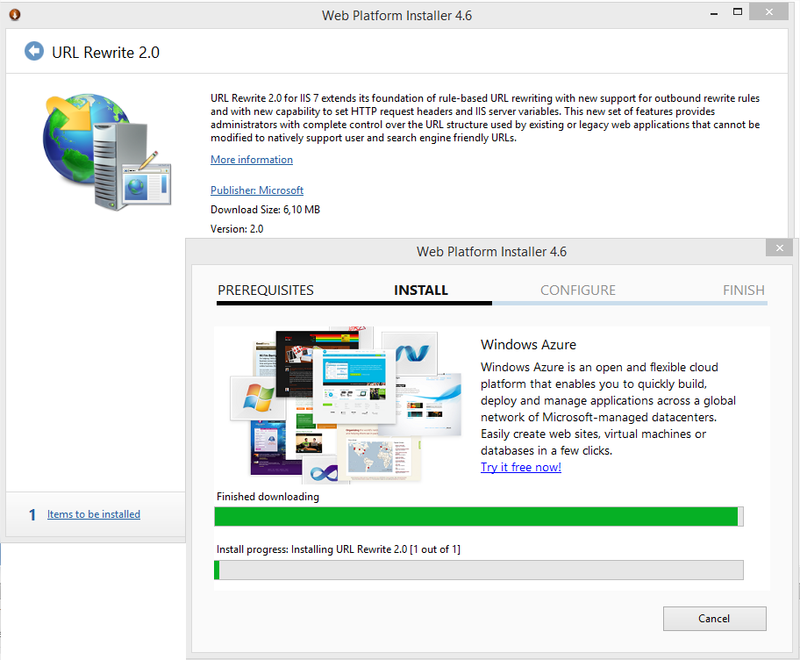 It will then launch the Web Platform Installer. The installation is pretty simple and straightforward. When the installation finishes, Web Platform Installer gives you a list of other products to install. You don't need to install anything else. Just close the installer. Replace "Features/" in any incoming request with "URLRewrite/FeaturesISAPI.dll"
In this case, URLRewrite is the name of your virtual application, and FeaturesISAPI.dll is the name of your ISAPI DLL. Using this web.config sample is quite simple to create a rule for your DLL, isn't it? 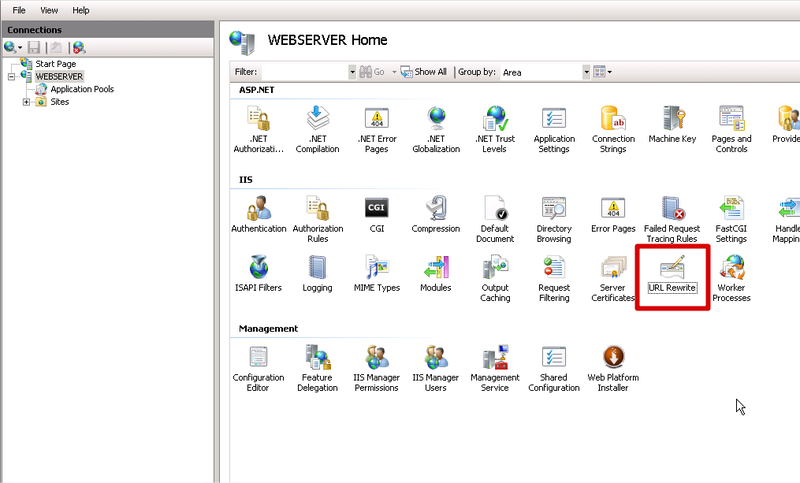 This sample web.config file must be saved in the same directory of your Virtual Application. This corresponds to the <match url="Features/(. *)" /> part of the URL Rewrite rule defined in web.config file, but there must be a slash before. Rebuild your application and you are done. Of course, you can load this property from the web.config or even an .ini file and set it at runtime.